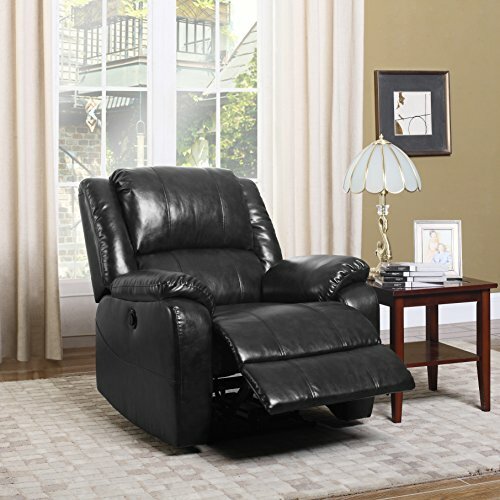 A leather recliner is a great addition to any space in your home or office. Aside from the comfort that it can bring, it can also complement the decoration in your office or living room due to its classy and elegant look. However, it is critical that you look into things like the quality of the leather, the hardwood frame, and the screws, and other features that it comes with to make sure you are getting a good one. But with all the available models and brands, how can you choose the best leather recliner? Arguably, when searching for a recliner, your budget is one of the factors that you will first consider. However, we can also say that quality and comfort come close as they surely play the biggest roles in the decision-making stage because those are what a recliner is made for. What else should you look for and what can these seats offer? Keep on reading and find out! On this post, we will discuss the highlights, lowlights, and features of the top three recliner chairs out on the market to give you an idea of what these pieces of furniture offer which will also serve as your guide in finding the right one for you. Monarch Specialties is the leader in the Home Decor and Furniture market which focuses on developing innovative and fashion-forward products that deliver excitement to consumers. The company has fully staffed offices worldwide, and they guarantee a continuous flow of inventory and product quality. They also ensure that all products meet the expectations of customers. It swivels, glides, and reclines which ensure that you are in a comfortable position always. The padded headrest has been designed to provide ultimate comfort. The contemporary design and the easy-glide motion make it fashionable and multi-functional. The retractable footrest offers leg support. It blends well in any space in your home or office. The leather tends to wear-off and crack. Signature Design by Ashley Furniture has been producing affordable and stylish furniture and accessories for more than 70 years and has furnished millions of homes, one piece at a time. They build and design furniture, then test them for functionality and quality, so you get the satisfaction that you deserve. It is stylish and multi-functional, and it changes from one position to another with just a touch of a button. It is designed for comfort and support with its high back frame with thick cushions. It has a thick poly fiber material with a cozy feel-good touch. Assembling with tools and instructions included is easy. 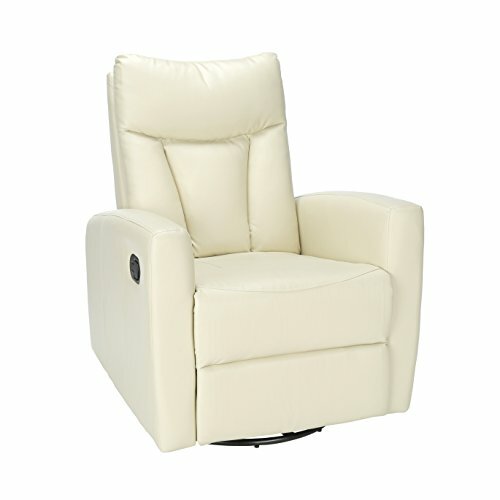 It has different relaxing ways to recline such as press-back, manual, power, glider, and rocker recliners. The controls can be a bit slow which will take you longer to get up and down. It is over-sized so space must be taken into consideration prior to purchase. Divano Roma Furniture is located in Ridgeland Mississippi and serves all its surrounding communities including Madison, Brandon, Jackson, and many more. It offers a vast selection of top-of-the-line home quality furniture at unbeatable prices. Its top-of-the-line motor is easy to navigate and has a quiet reclining mechanism. It is overstuffed so that it can provide maximum comfort. Assembly is easy with its plug-in motor and slide-in backrest. It has no swivel and rocking features. It may not be recommended for heavy daily use. After a thorough comparison of the pros, cons, and features of the top three recliners popular on the market today, which can we now consider as the best leather recliner? 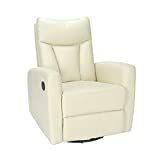 We can say that the Monarch Specialties Ivory Bonded Leather Recliner is a great choice since it already comes with multiple features that give comfort at a very reasonable cost. It swivels, glides, and reclines, plus it looks fashionable that it can fit any space in your home or office perfectly. 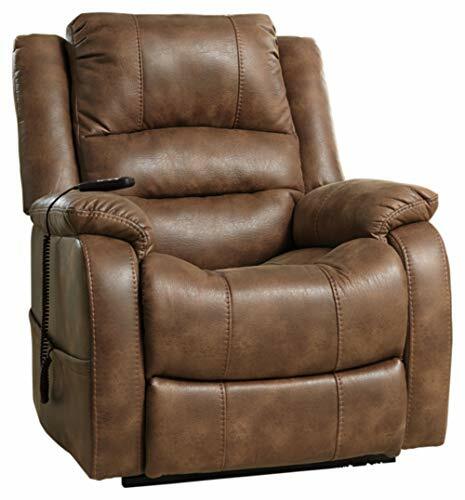 However, if you want a chair which has more different relaxing ways to recline, then the Ashley Furniture Yandel Power Lift Recliner is a better option. It has more reclining functions, and you can easily change from one position to another with just a touch of a button, but it is double the cost of the Monarch Specialties Ivory Bonded Leather Recliner. The Divano Roma Plush Bonded Leather Recliner, on the other hand, is the most expensive option because it is electrically powered, but it has limited functions compared to the other two chairs. It has no swivel and rocking features which are what you would normally look for a recliner chair. Overall, we can say that these recliners have their pros and cons. What will truly help you decide on which to purchase are your non-negotiables—the factors you might have already considered why you want a recliner seat in the first place. Think about it and then you can give a second look at the variable factors such as your budget, the allotted space, style, and material.